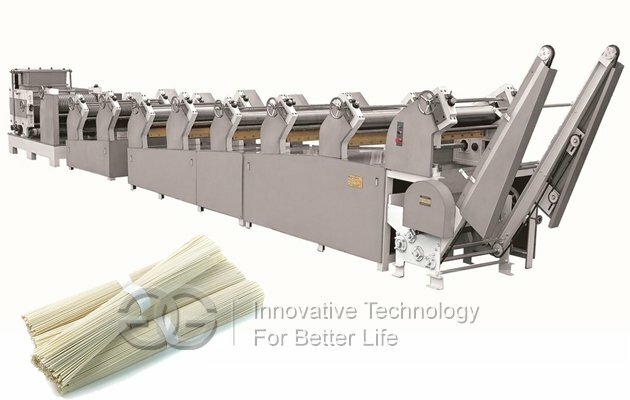 This stick noodle line is used to produce stick noodles, with high efficiency. 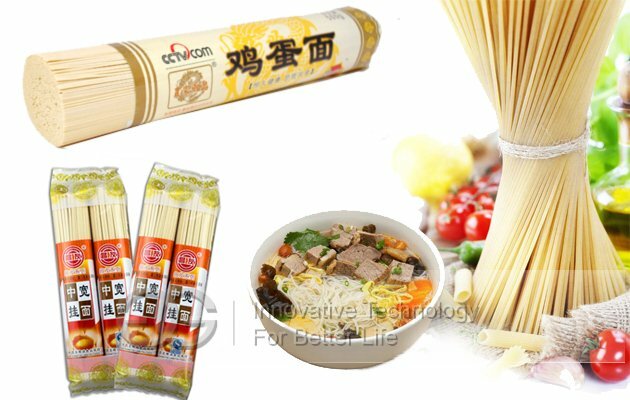 High automation, easy operation, noodle size can be adjusted according to demand. 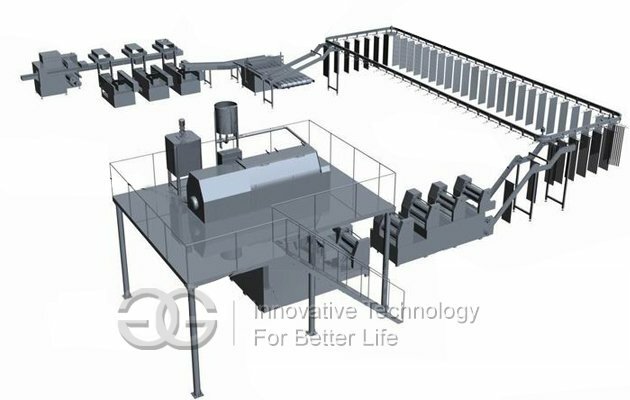 Our company produces double chain hanging stick noodles production line is in low temperature vacuum mixing technology and photoelectric control technology, as a symbol of the third generation Hanging noodles production line, representing the advanced level of the domestic industry. The production line is equipped with excellent equipment, and the whole process is highly automated, it can be operated, and production continuity is good, the product quality is excellent, the finished product rate is high, and the energy consumption is low. 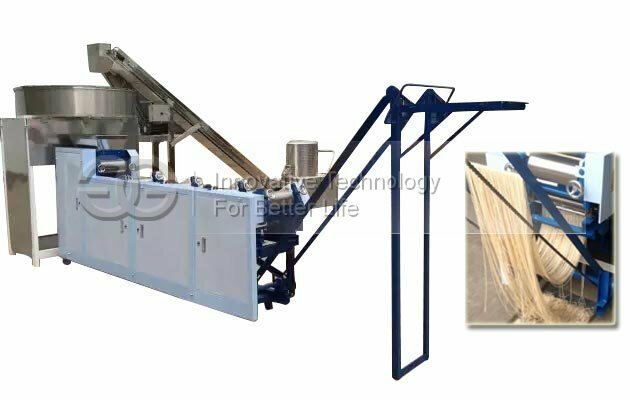 By means of automatic feeding system, the raw materials are transported to the metering device in a certain way. 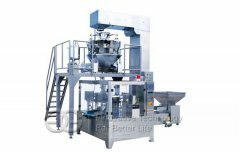 The whole system of the powder feeding system, the work of the signal to achieve automatic control. This not only greatly reduces the labor intensity, improve the production efficiency and the continuity of the production process, but also improve the production environment. Dough mixing technology includes brine mixing plant, quantitative water supply device and two sets dough mixer machine. During the whole process, water supply is accurate, the system is good, the degree of automation is high, produces dough is with high quality. 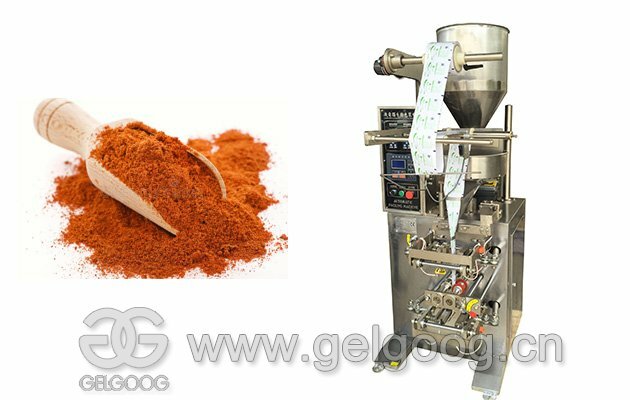 And the dough mixer adopts variable frequency double speed (high speed and low speed mix kneading), and adjustable speed, and time can be set according to the need of the process. All operation procedures and steps can be realized by PLC program automation control. 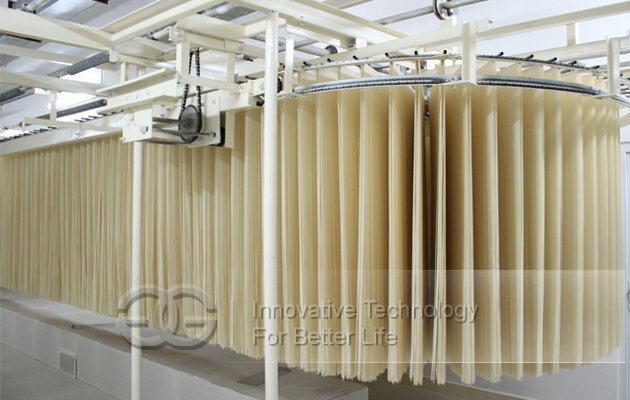 And the dough after 5-10 minutes after ripening, will be automatically fed to compound pressing machine, and rolling into the required thickness of the sheet, after cutting, rod, shelves into the drying chamber. The whole process through the photoelectric switch and frequency converter to achieve automatic intelligent control, easy to operate. And the equipment supporting reasonable design, reliable quality, high safety, good effect of rolling equipment and rolling process. The noodles into the chamber, cut by cutting machine, the wet noodle can be through the wet noodle returning device continuously and uniformly conveyed to the uniaxial U curing machine, which can reduce the number of workers and reduce labor intensity, but also achieve wet noodle's timely back. To avoid the long time interval and lead to the loss of water, thus affecting the effect of technology and product quality. 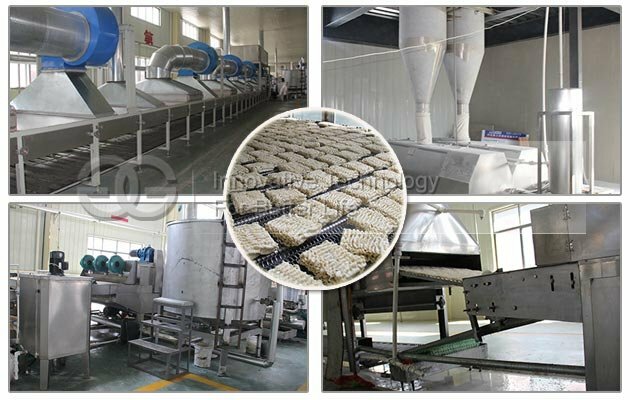 Dry noodles are cut by cutting machine, and the finished noodles will be transported to the weighing and packing machine through noodles conveying equipment; broken noodle will be smashed to pieces dry noodle breaking device for the preliminary broken, then transported to the collecting system broken by wind mill head, crushing machine can import powder according to the proportion of return add powder supply system. 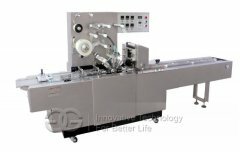 If i want to buy one production line, how much area of the plant? 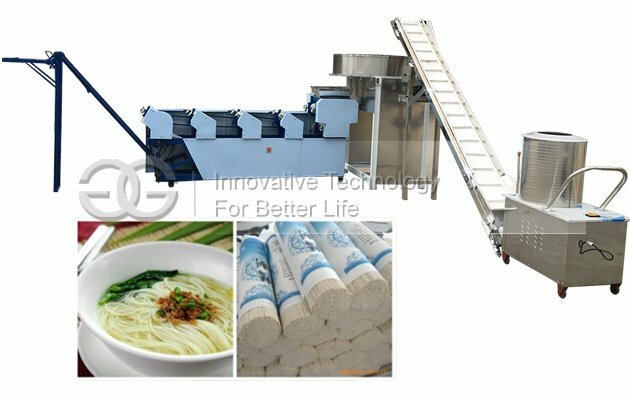 For the dryt noodle production line is quite large, needs big room, and we can provide you suitable suggestion according to your plant size. What is the function of noodle rolling mahcine? Press dough from 12mm into 1mm. What if your voltage of your machine is not suitable for our country? Don’t worry about it. We can change voltage to fit your country’s electric system. Those machines are made of stainless steel, right? All contact parts are made of stainless steel, which are qualified for hygiene standards. What about the size of instant noodle pieces? We have several commonly used sizes for selection, or customize it based on your requirement.